Undergoing joint replacement surgery is a big deal. And likewise, taking care of someone who has received a joint replacement is a job that requires effort and time. While joint replacement care is more advanced and streamlined than ever before, caregivers still play a significant role in the lives of those who have undergone joint replacement surgery. As a caregiver, you need to know what to expect in the immediate days after your friend or loved one’s surgery. At Muve Health, educating caregivers on proper recovery is just as important to us as educating our clients! 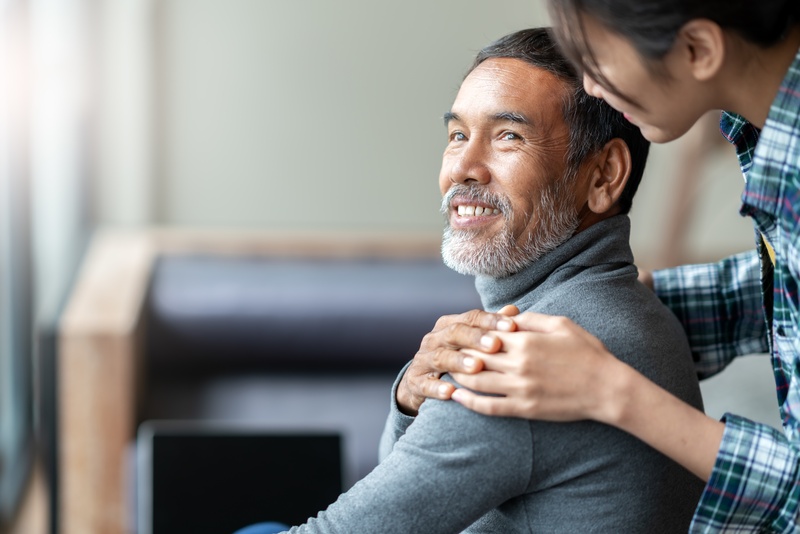 Here are a few tips for how to best care for and support your friend or loved one after their total joint replacement surgery. As a support person, you can expect to help your friend or loved one with day-to-day basics for the first week following their surgery. While it’s important joint replacement patients stay active to help strengthen their new joint, they won’t be fully capable of supporting themselves for these first few days. You can help them prepare meals, do light housework and help with activities of daily living, such as bathing and getting dressed. You can also help them keep track of their medications and exercises. Expect to provide more assistance in the beginning of their recovery journey and less as time goes by. If the person for whom you’re providing care is like most patients, they’ll generally be able to be independent a week after their surgery and resume all normal activities about six weeks after joint replacement. * If they’ve had both of their hips or knees replaced at one time, they may have to wait a little longer to get back into full swing. You can get your friend or loved one’s home recovery-ready by making sure pathways are clear and that you have all the supplies you’ll need. If you’re participating in the Muve program, you won’t need to worry about ordering mobility equipment (i.e., a walker, cane or crutches) ahead of time - your friend or loved one’s Muve Navigator and/or physical therapist will help determine what equipment is needed and provide it directly after surgery. When your patient is home, you can help them get accustomed to the equipment by having them practice walking from the bed or recliner to the bathroom and back. At Muve, your friend or loved one’s Muve Navigator will also supply you with a medication tracking sheet to help organize post-op prescriptions. It may be helpful to get a pill organizer to supplement your organization and make sure your patient is taking the right medications at the right times. “Range of motion” describes how far a patient can bend and straighten a certain joint. While range of motion is limited immediately after joint replacement, it should increase as the joint becomes less stiff, swelling goes down, and inflammation and pain under control. Physical therapy will be an important part of your patient’s return to mobility. Whether they meet with our Muve Stay Suites in-house physical therapist or another PT professional, your friend or loved one will have prescribed exercises you can help them follow and complete. It takes time for soft tissues to heal and for the bone to grow onto and stabilize the joint replacement for long-term function. Gentle exercise helps bones and muscles heal and grow, so patients can generally resume activities that do not involve jumping or repetitive running. Therapeutic exercises can also reduce pain and improve mobility. Although they may start feeling better than their old self quickly, you may need to remind your friend of loved one to slow down a bit. Recent changes in anesthesia and post-operative pain management combined with advanced surgical techniques have drastically reduced pain and decreased recovery time, which means some patients feel so good that they return to their full activity levels a bit too soon. As their support person, you can act as a voice of reason for your friend or loved one - remind them to take it easy and not push themselves too far before their recovery is complete. While joint replacement surgery is safe and widely successful, complications are still possible. Fortunately, serious complications occur in less than 2 percent of hip or knee replacement procedures, according to the American Academy of Orthopaedic Surgeons. Patients who choose to have joint replacement surgery in a hospital or traditional outpatient setting generally go home a day or two after joint replacement surgery. Those who receive surgery at Muve Health ASC and opt to stay with us at Muve Stay Suites, on the other hand, get a headstart on recovery with our 24-hour clinical oversight and on-site physical therapy for up to 48 hours after joint replacement surgery. At Muve Health, we’re all about empowering our clients - and their caregivers! - with one-on-one recovery support. 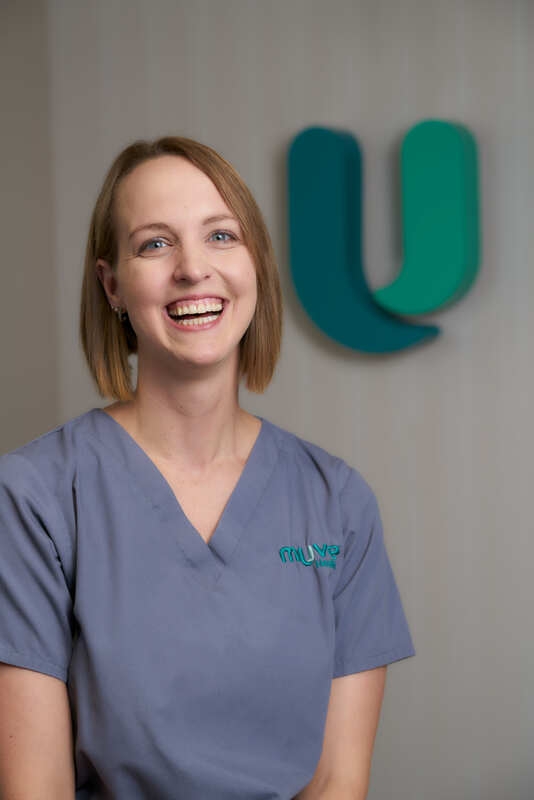 When a patient discharges from the Muve ASC and registers as a client at Muve Stay Suites, I or my counterpart, Hallie, will get them started with post-discharge education about how to best continue recovery at home. This education is based on the client’s personal health needs and surgical experience; as a caregiver, this will help you understand his or her unique follow-up needs. In addition to on-site recovery support, we’ll also keep in touch with your friend or loved one for up to a year after their surgery. As their caregiver, we’re also here for you! We’re available to answer any sort of questions you might have related to caring for your friend or loved one. If your friend or loved one is considering joint replacement surgery and wants an optimized recovery experience - or if you have questions about caring for someone who will be receiving joint replacement surgery - we’re here to help. Learn more about Muve Health and our innovative approach to total joint replacement care and recovery support by visiting muvehealth.com or calling our flagship center, Muve Lakeway ASC and Muve Lakeway Stay Suites in Lakeway, Texas, at (512) 357-8220. *Results are not guaranteed; individual results and recovery timelines vary based on each unique patient’s medical situation and recovery needs. **Surgical services at Muve locations like Muve Lakeway ASC are provided by independent professional corporations and not by Muve Health. This blog post and all blog posts on MuveHealth.com are intended to provide general consumer understanding only and are not a substitute for professional medical advice, diagnosis, or treatment. Always seek the advice of your physician or other qualified health provider with any questions you may have regarding a medical condition or potential surgical need.